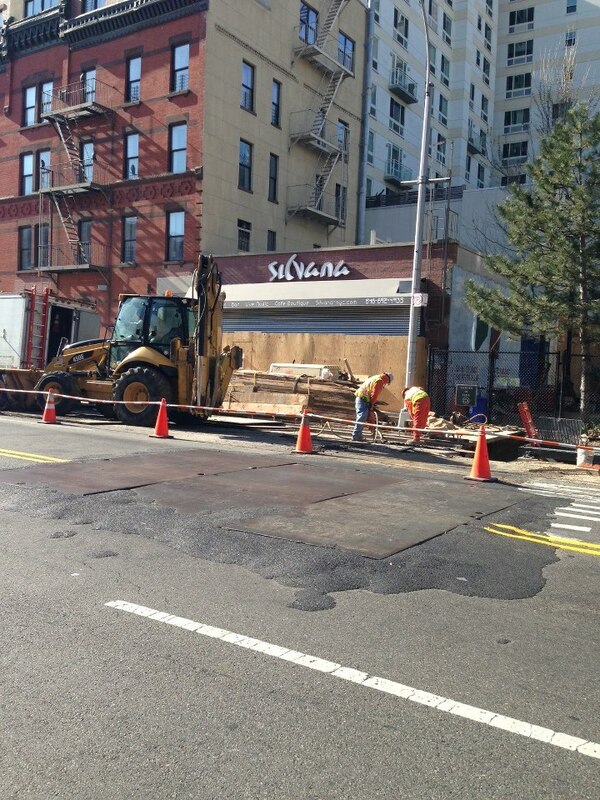 Sign says Silvana, the next Harlem restaurant aiming to open soon | HarlemGal Inc.
A long time reader of this blog captured the first photo of signage for Silvana, the Harlem restaurant that will be located on 116th Street and FDB, and sent it in to HarlemGal Inc for all of us to view. A big thank you to the reader! As HarlemGal first told you, Silvana is a restaurant that the owners of Yatenga French Bistro will be opening soon. The first floor of Silvana will be a cafe and boutique. The Harlem restaurant will sell local, domestic and international home decor, accessories gifts and more. Wine and beer will be served as well. The restaurant and bar will actually be located in the lower level and will have acoustic live music. Silvana will serve Israeli food, such as shawarma, falafel and other vegetarian dishes. This entry was posted in 116th Street, Bars, business, Cafe, drinks, food, Frederick Douglass Blvd., Harlem, Harlem blogs, Harlem Restaurant Row, restaurant row, Silvana and tagged 10026, 300 West 116th Street, Harlem, harlem restaurant row, Harlem Tavern, new restaurants, Photo by Natasha Guadalupe, Silvana, Silvana Harlem, The Shrine Bar, Yatenga French Bistro and Bar. Bookmark the permalink.